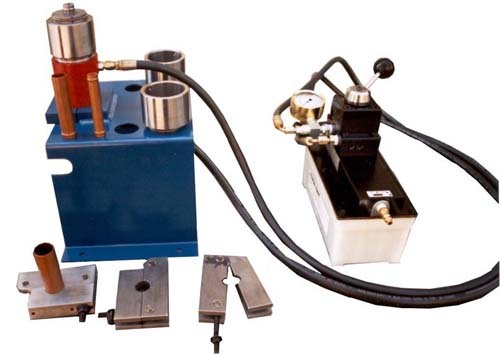 Portable Tube End Forming Unit - Model RCP-8110 : American Machine and Hydraulics, Inc.
gun is made by AMH and operates at pressure up to 5000 PSI. 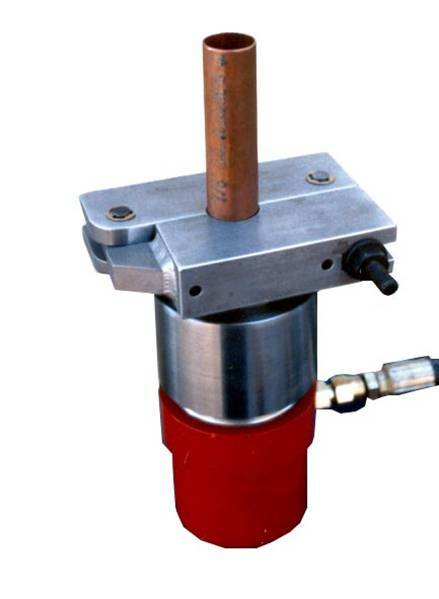 This unit with proper tooling can expand, bead and lock tubes onto heat exchanger tube sheets. 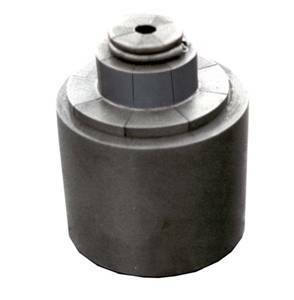 Because the form operation is accomplished with the forward stroke of the piston, small diameter of 1/4” (6.4 mm) can be expanded. 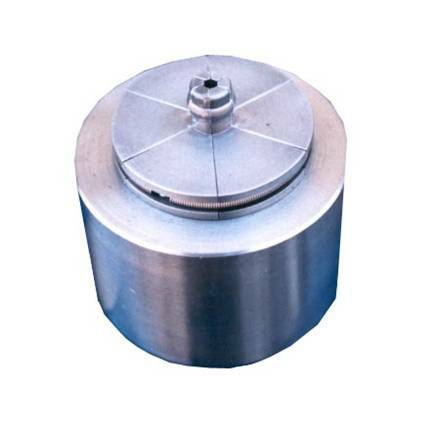 Small diameter of 3/8” O.D. (9.5 mm) can have beads formed on the end. Expanding tolerances of approximately ± .003 (.08 mm) can be achieved. 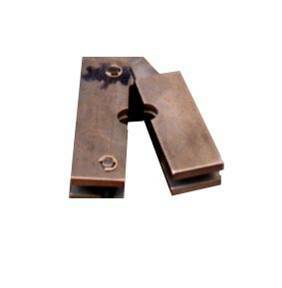 Tooling is manufactured of alloy steel and heat treated for maximum life cycle. Tool changeover time is around 15 seconds. Gun is compact and lightweight ( 8 to 12 lbs depending on bore diameter). 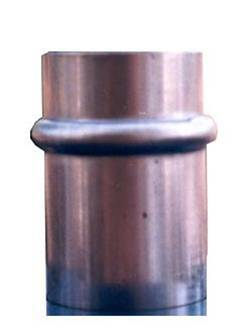 Standard hydraulic hose length is 10 ft (3.4 meters) or according to customer’s preference. 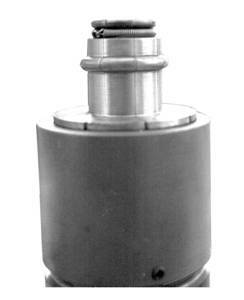 This unit is the smaller version of the RCP-8500 and is economically priced but with lower form cycle. A typical bead form cycle time is 12-18 seconds including setup. 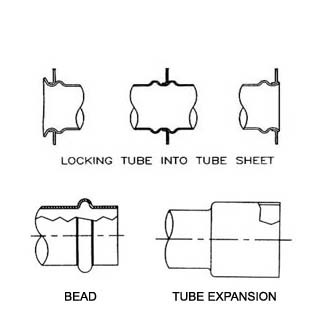 Typical tube expansion time is 8-10 seconds.